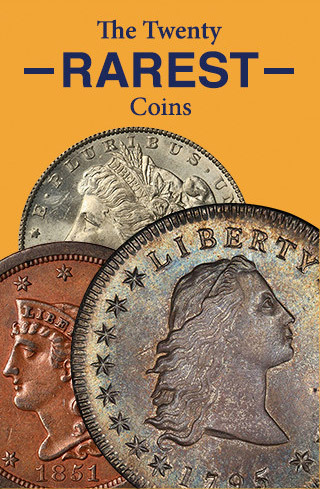 Flowing Hair half dollars, our nation’s first coins of this denomination, were made for only two years and are well loved by numismatists today. Although they were authorized by the Coinage Act of April 2, 1792, it would take over two years for silver coins to be produced, largely due to the required bond of $10,000 for two Mint officials. There were more half dollars minted than dollars in 1794, a result of the available coining press in 1795 being too small to strike dollars acceptably. In mid 1795, a larger dollar press was set up and coins of this denomination were struck in quantity. 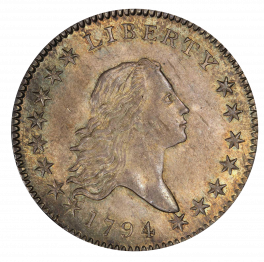 The production was 23,464 half dollars struck in 1794 and about 2,000 dollars, of which 1,758 were found acceptable to release into circulation. In 1795 the mintage was 299,680 half dollars and 160,295 dollars. The first half dollar’s design was based on the Coinage Act of 1792 which specified “Upon one side of each of the said coins there shall be an impression emblematic of liberty, with an inscription of the word Liberty, and the year of the coinage; and upon the reverse of each of the gold and silver coins there shall be the figure or representation of an eagle, with this inscription, ‘UNITED STATES OF AMERICA’.” The portrait of Liberty on the silver coins is distinctive, especially the hair treatment, although the facial features loosely resemble those on the copper coinage. Around the obverse periphery are 15 stars, corresponding with the then-current states of the Union. LIBERTY is centered above, the date below. On the reverse, the eagle is perched on a cloud. Around the eagle is a laurel wreath and berries, akin to that on the large cents of the era. UNITED STATES OF AMERICA surrounds the wreath. No denomination is seen until the edge is viewed, which on the half dollar reads FIFTY CENTS OR HALF A DOLLAR with assorted stars and other symbols. Many early halves and dollars were used in international trade or between banks, and in time, the half dollar denomination would become the workhorse of the U.S. economy. 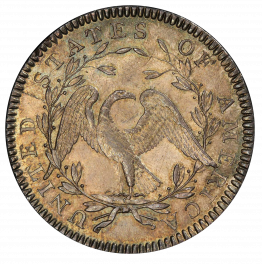 In 1796 the obverse design would be changed to the Draped Bust motif, while the reverse would be modified only slightly. In 1801 the reverse would be dramatically changed. 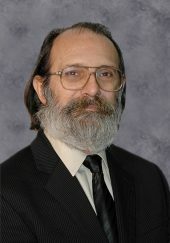 Though the Flowing Hair design was short lived, it is a cherished reminder of the beginnings of United States coinage. Please contact us if you have a half dollar for sale or need an appraisal. Our email is Info@Coinappraiser.com. We look forward to hearing from you.